It shouldn't be news to you that Dior has officially fire John Galliano for making anti-semitic remarks. Even my friends who don't care about fashion has heard about it. While I condemn what he had said about Hitler, I feel that the whole situation has been blown out of proportion, the way Michelle Obama's dress situation did. 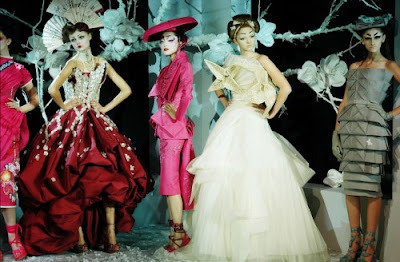 First of all, I don't believe that Galliano really meant what he said. He is the person I least expected to make those remarks, mainly because he showed that S/S 06 Everyone Is Beautiful collection featuring models of all heights, skin colours, ages and sizes. 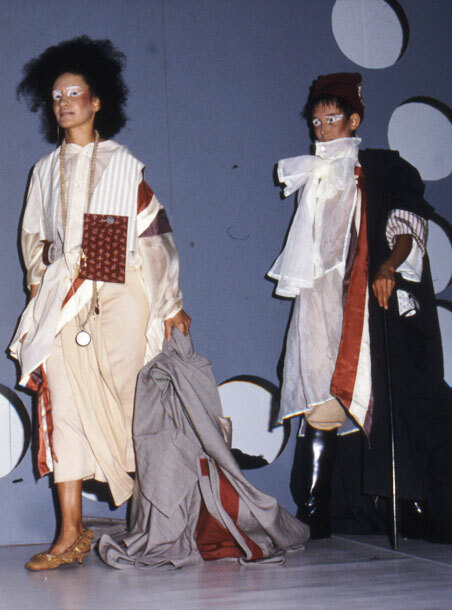 The inspirations for his collections usually come from all over the world, from Japan, to Africa, to Egypt (see below photos). I think that a person who describes his job as "it is my responsibility to make people dream" would not intentionally hurt people's dreams. Secondly, it is clear that he has been exploited by the person who taped his tirade without his permission. Usually when we meet with a drunkard who starts insulting us without any reason, we would ignore him or simply walk away. We do not continue to provoke them by asking "What is your problem? ", and nor would we giggle upon seeing the drunkard insult us. 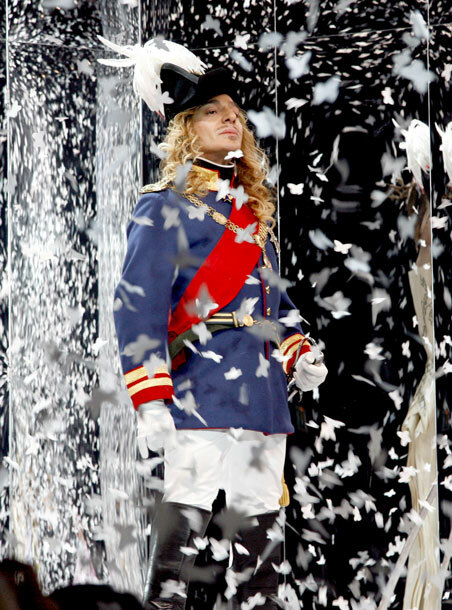 The video was obviously taped with the intention of selling it to gain notoriety and money, and it has already been reported that the person who sold the video of John Galliano's tirade was "very happy" with its profits. 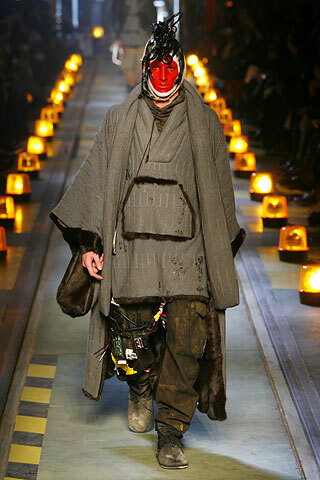 In this case, then doesn't that make the so-called "victim" of John Galliano even more vicious and disgusting than him? 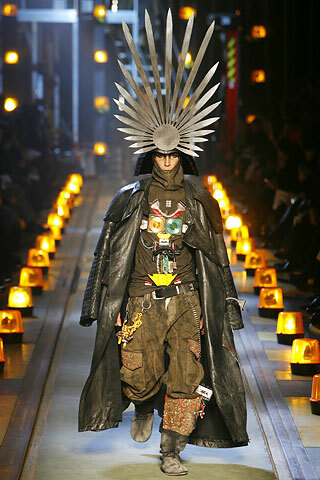 What Franca Sozzani of Vogue IT said was right: this is not just a problem for John Galliano, it is a problem for humanity. I don't understand why she would get hate mail just because she has defended John Galliano and pointed out the loopholes in this present unfounded accusation. I cannot comprehend why people would take what he said so personally, especially when he was delirious and drunk. We do not need any more hate in this world. So why point out the fact that Hitler gassed homosexuals as well and that John Galliano is a homosexual? I believe that I will see John working his runway again one day. He will definitely be back. For now, let's leave him in peace. bought over for display in its windows. That opening look by Karlie Kloss was Killer. I completely agree and am glad he is taking responsibility for his actions. Yet you can clearly see if this happens when he is drunk that he needs to get help for his drinking issues [which have been rumored within the industry for years]. But no one can deny he is extremely talented. Interesting take on the situation. I definitely think the video and the whole drama is being exploited by the 'victims.' But I also would never excuse his comments, regardless of inebriation or not. It's one thing to call someone a name, but to go as far to say that their forefathers should have been gassed? That is coming from a dark place and no, that is not okay. I guess it's too early to say, but i'm so looking forward to his return to fashion. His SS2006 was brilliant, and yea, the opening look by Karlie Kloss is one of my favourite fashion moments!! Yeah I can't agree more! When I saw Karlie coming out I was like OMG. YES. hahaha. He will be back, I'm sure. hey there, thanks for the nice comment :) i love your writings, it's insightful. hope you did great on your A level!